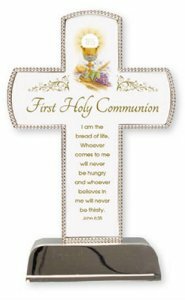 DIVINE CHRISTIAN GIFTS - 6" Chalice Communion Cross - Silver Plated. 6" Chalice Communion Cross - Silver Plated. 6" Communion silver plated cross comes boxed.